Dota 2 Game To Be Available Natively On Linux? Dota 2 is an upcoming multiplayer online battle arena game developed by Valve. The game is currently available for early test access purchase and will be free-to-play when released. More about Dota 2 on Wikipedia. 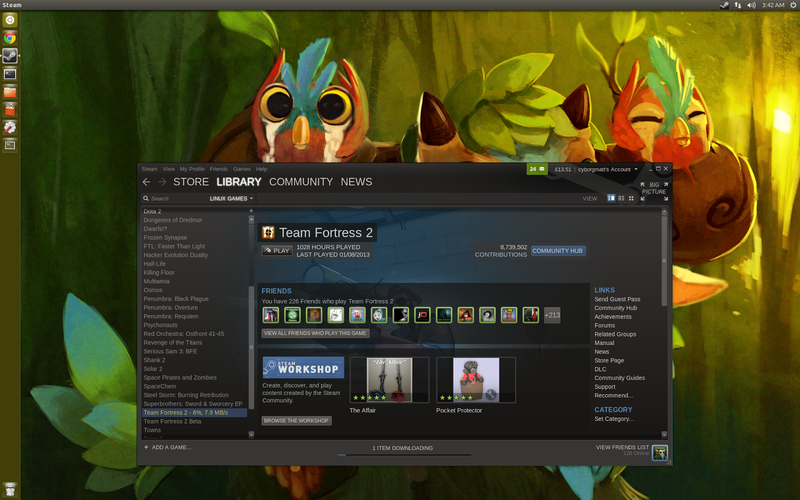 In the first link, there's a Steam for Linux screenshot (image above) with "Dota 2" showing up in the sidebar. Since the game isn't grayed out, it means that it's installed so Dota 2 is probably in the process of being ported to Linux. A few users have asked if Dota 2 will indeed be available on Linux, but Matthew did not reply. 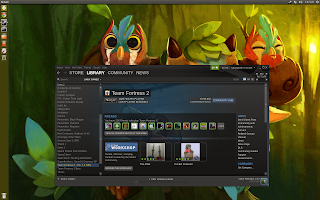 But since Dota 2 uses the Source engine, like Counter-Strike: Source, which is already available for Linux, it is likely, also considering the above screenshot, that Dota 2 will be available natively on Linux. There were already rumors about Dota 2 being ported to Linux, but now we have proof (well, if the screenshot is accurate) that it's being worked on, so let's hope for a release soon. Exciting times ahead! Thanks to Timex for the tip!